SKU: books-1124. 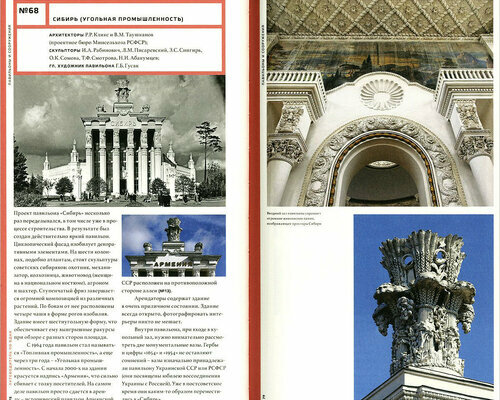 Category: Architecture, Cultural heritage, Moscow, Photo and art albums. Vystavka Dostizheniy Narodnogo Khozyaystva (VDNKh) (Exhibition of Achievements of National Economy; Russian: ВДНХ), is a permanent general purpose trade show and amusement park in Moscow, Russia. 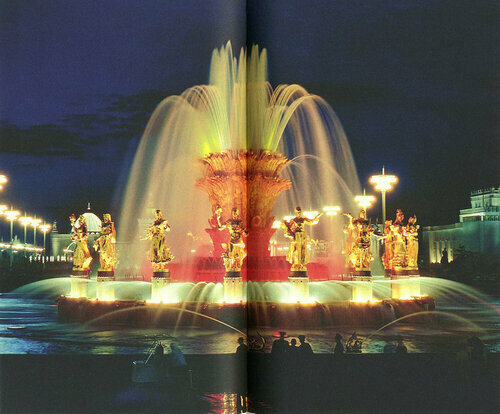 Between 1991 and 2014 it was also called the All-Russia Exhibition Centre.The exhibition was established February 17, 1935 as the All-Union Agricultural Exhibition (VSKhV) (Russian: Всесоюзная Сельско-Хозяйственная Выставка Vsesoyuznaya Selsko-Khozyaystvennaya Vystavka). An existing site (then known as Ostankino Park, a country territory recently incorporated into the city limits), was approved in August 1935. 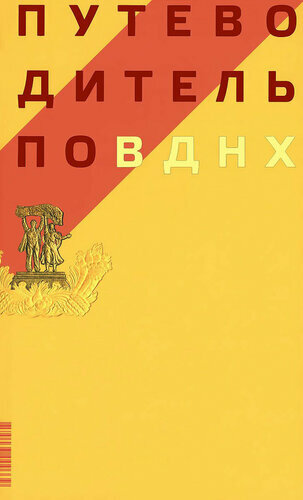 The master plan by Vyacheslav Oltarzhevsky was approved in April 1936, and the first show season was announced to begin in July 1937. However, plans did not materialise, and three weeks before the deadline Joseph Stalin personally postponed the exhibition by one year (to August 1938). It seemed that this time everything would be ready on time, but again the builders failed to complete their work, and regional authorities failed to select and deliver proper exhibits. 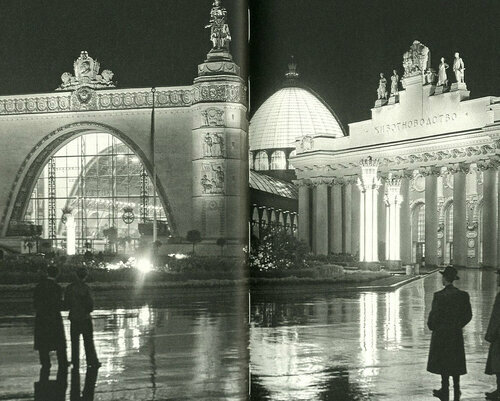 Some pavilions and the 1937 entrance gates by Oltarzhevsky were torn down to be replaced with more appropriate structures (most pavilions were criticised for having no windows). According to Oltarzhevsky’s original plan, all of the pavilions were to be constructed from wood. In 1938, a government commission examined the construction and decided that it did not suit the ideological direction of the moment. The exhibition was considered too modest and too temporary. Oltarzhevsky was arrested, together with the Commissar for Agriculture and his staff, and eventually released in 1943. 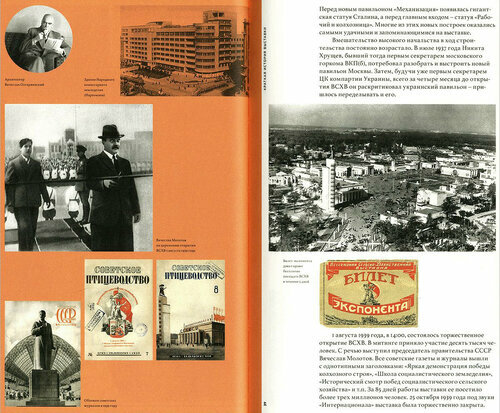 Later, he worked on the 1947-1953 Moscow skyscraper project. As a result, in August 1938 Nikita Khrushchev, speaking at the Supreme Soviet of the Soviet Union assembly, declared that the site is not ready, and the opening was extended to August 1939. It opened indeed August 1, 1939, and worked in 8AM – 11PM mode until October 25 (40,000 daily attendance). 1940 and 1941 seasons followed; after the German invasion, July 1, 1941 the exhibition was closed – until the end of World War II.